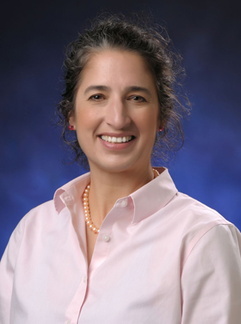 Dr. Carol Cardona is the Pomeroy Chair in Avian Health for the College of Veterinary Medicine. In addition to her expertise in avian influenza, Dr. Cardona is interested in zoonoses (infectious diseases that are transmitted between animals and humans) and the role that poultry play in human health and well being, especially in developing countries. She also serves as co-director/co-principal investigator of the Minnesota Center of Excellence for Influenza Research and Surveillance at the University. As the Pomeroy Chair, Dr. Cardona collaborates with practitioners in Minnesota’s poultry industry, other scientists and veterinarians, and the Minnesota Board of Animal Health. Through this outreach work and the partnerships that result from it, she is able to advance strategic approaches to animal health and well-being that would be beyond the reach of an individual researcher. Dr. Cardona has thus identified three critical large-scale issues—gut health, respiratory health, and animal welfare—for the Pomeroy Chair to focus on with its partners, and projects for each of these issues currently are underway. Gut Health, the health of the gastrointestinal system of poultry, is critical to their ability to grow or produce eggs. Thus, gut health is arguably the most important health-related issue in food production. Understanding and improving gut health is a key initiative I have undertaken as the Pomeroy Chair. Respiratory Health is another critically important area for avian species, particularly those raised in large groups. The respiratory systems of birds are unique and the process of domestication has resulted in a low respiratory capacity to body size ratio in meat birds. The result is that respiratory health is important to achieving bird productivity and well-being and is a significant direction for the Pomeroy Chair. Welfare is a movement toward a social contract with producers to provide humanely raised animals for food. The change in how to raise animals has been both resisted and embraced by veterinarians. The public looks to veterinary professionals in their communities for guidance, and on a day to day basis, veterinarians are the guardians of animal welfare. Addressing a veterinary approach to animal welfare is a critical direction for the Pomeroy Chair.